Brooklyn & Boyle | Art and Life in Boyle Heights : Feliz Navidad! 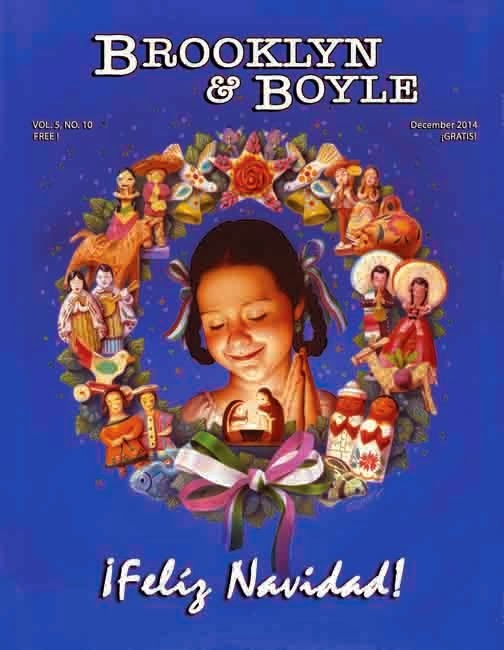 This year we wish to express our deepest thanks to all who helped keep Brooklyn & Boyle afloat and proudly announce that our end of year cover is a piece by the legendary Ignacio Gomez entitled Elysa's Christmas. Donate to Brooklyn & Boyle and support your favorite magazine on East Side/LA Arts & Life before the end of the year! We look forward to bringing you more arts, culture y comunidad in 2015. Y feliz navidad!